VACANT government buildings could be used for short-term accommodation for the needy under a proposal pitched by Greg Piper in state parliament. Mr Piper said innovative solutions were needed to boost the supply of affordable housing in the city. Converting unused government buildings into dwellings was worth considering, he said. Here's how David Stewart at the Lakes Mail has reported the story. Below that is my speech to Parliament on the housing affordability issue. VACANT buildings at Morisset Hospital would be used for short-term accommodation for the needy under a proposal pitched by MP Greg Piper in state parliament. The Member for Lake Macquarie said innovative solutions were needed to boost the supply of affordable housing in the city. Converting unused government buildings into dwellings was worth considering, he said. “We must do more and we must start thinking outside the square,” Mr Piper told parliament. Mr Piper cited data from property monitoring services Domain and RP Data that showed the median house price in Lake Macquarie would pass $500,000 in the coming months. Yet average incomes in the city were “well short” of what’s required to buy a house in the median range, he said. “This all adds up to the fact that the great Australian dream is being moved further and further away from young people and families,” Mr Piper said. Data from Family and Community Services showed the waiting list for social housing in the Lake Macquarie electorate was among the longest in the state. “The current waiting time for a one-bedroom, two-bedroom or three-bedroom home in Lake Macquarie is more than 10 years,” he said. While applauding the state government’s recent initiatives, including the Social and Affordable Housing Fund which is expected to provide about 3000 additional homes for the disadvantaged across NSW, he said the measures did not go far enough. “This approach is a bit like attacking a bushfire with a garden hose,” he said. The independent MP said it was time to rethink housing densities, negative gearing, the private investment sector, and the red tape and stamp duties that added to the price of a home. Mr Piper recently moved a motion in parliament to discuss the range of issues impacting on housing affordability, including possible short- to medium-term accommodation options in under-utilised government buildings. “A number of buildings in my electorate alone could be used to provide managed, crisis accommodation for those in need. 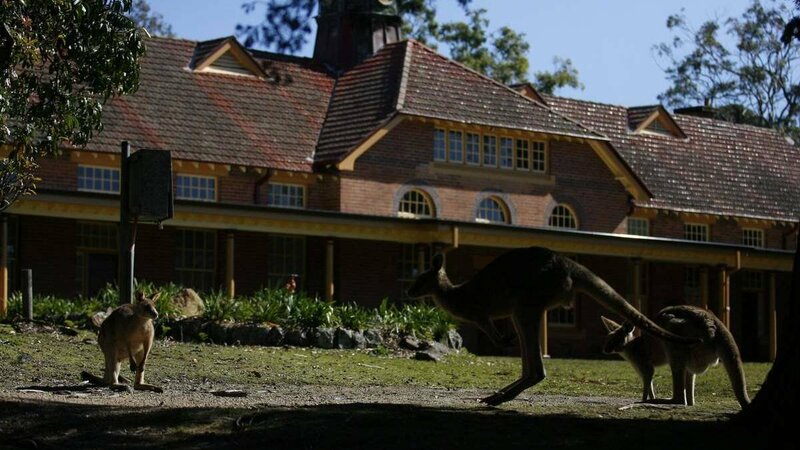 An array of unused buildings at the old Morisset Hospital—where I once worked—is among them. If managed properly, they could provide short-term accommodation at low cost to those who need it,” he said. As I stand here in the Parliament today, the cost of buying a home in my electorate of Lake Macquarie slips further from the reach of yet another family. According to property monitoring services Domain and RP Data, the median house price in the area will creep over half a million dollars in the coming months. Double digit annual growth has been the norm in some suburbs for many years and while that median price may seem relatively lame compared to those in Sydney, it is among the highest median prices in regional Australia. Average incomes in my area, according to the Australian Bureau of Statistics, are well short of what is required to buy a house in that median range. This all adds up to the fact that the great Australian dream is being moved further and further away from young people and families.